From the third movement of the Piano Sonata No. 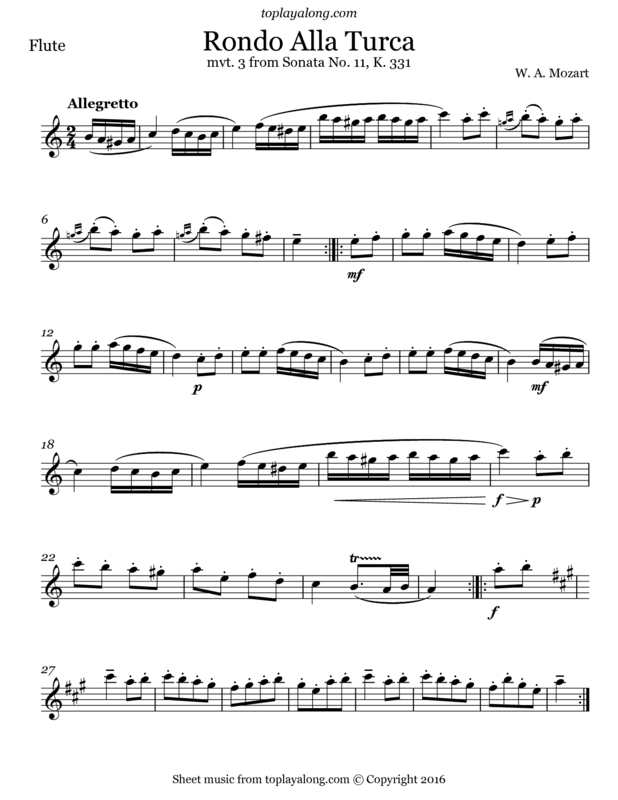 11 in A major, K. 331, "Alla Turca", popularly known as the "Turkish March", is often heard on its own and is one of Mozart's best-known piano pieces. Mozart himself titled the rondo "Alla Turca". It imitates the sound of Turkish Janissary bands, the music of which was much in vogue at that time.